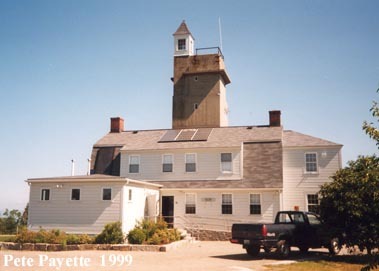 This five-story concrete tower with attached barracks was built on a leased 2.2 acre site under the authority of the Boston Harbor Defense Command, and was jointly used as a combined Base-End Station for Fort Dearborn and for Fort Ruckman in Nahant, Mass. The roof deck was used for Boston's anti-aircraft intelligence service (AAIS OP 18-Boston). 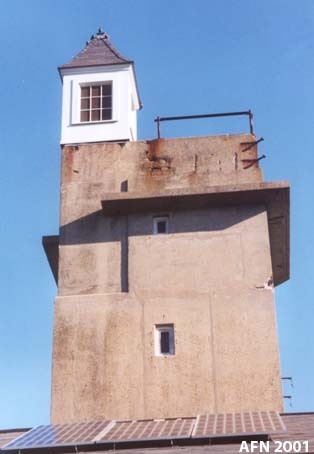 The fifth-story level (with DPF) was used for Fort Ruckman (B9 S9 for Battery 104/Murphy). 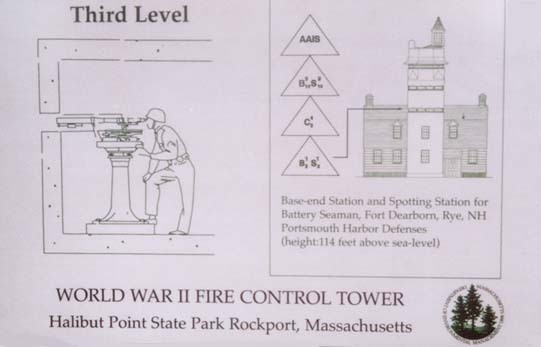 The fourth-story level (with DPF) was used for the Boston Harbor Defense Command - Gun Group Two (C2 OP 4), and the third-story level was used for Fort Dearborn (B1 S1 for Battery 103/Seaman). 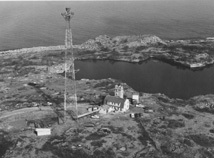 Boston's searchlight positions #29 and #30 were located north and east of the tower along the shoreline. The rear of the house, which was always used as the main entrance. 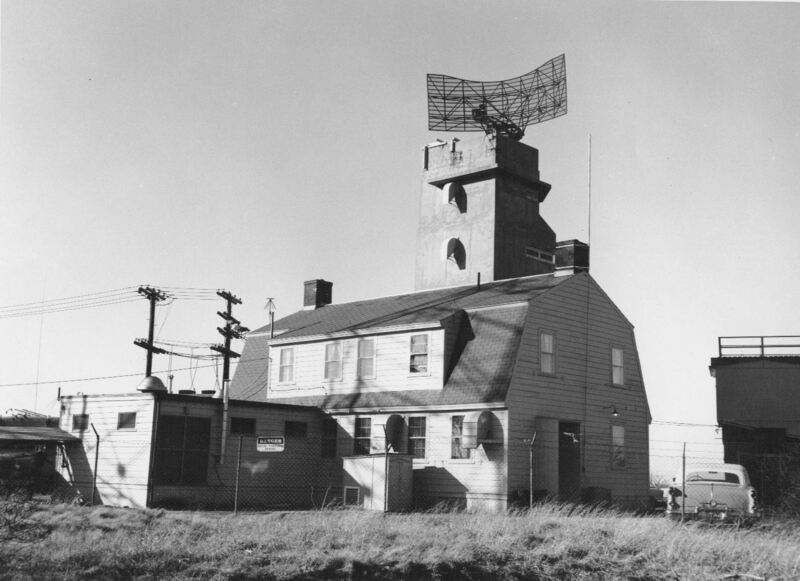 The original steeple on top of the tower was removed in 1945 and replaced by a modified SCR-548 radar unit by MIT-Lincoln Labs and the USAF, which was used for development of the Experimental SAGE Subsector (ESS) System from 1952 to 1960. The original steeple was replicated in 1996, along with a new addition added to the side of the house. The house is currently the Park HQ and Visitor Center for Halibut Point State Park (established in 1981). Admission is free, but there is a $2 parking fee. A close-up of the top of the tower. A diagram display of the fire-control station. 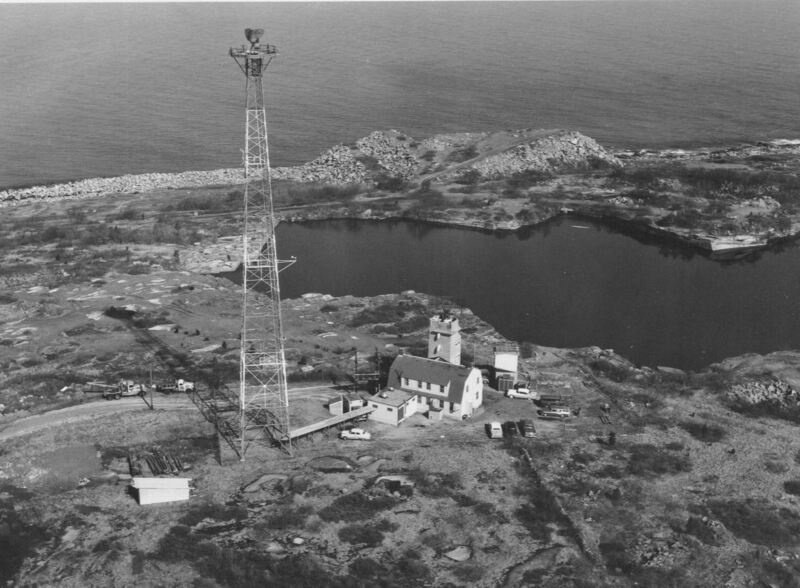 The Halibut Point ESS site, 1956. Located at Pigeon Cove, Rockport, Massachusetts. 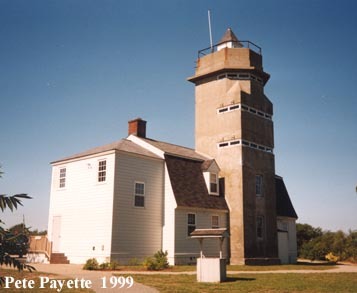 This is the only WWII tower in New England regularly open to the public!